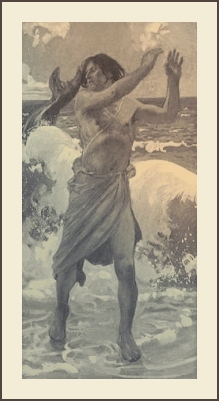 The books of reference used for this study of the book of Jonah were the Bible, King James Version, called "The Companion Bible", Publisher Kregel; Strong's Exhaustive Concordance of the Bible, numbered to the Hebrew, Chaldee, and Greek, and English, coded to the Strong's Concordance numbers. "The Word of the LORD"
Chapter 2 "Flight to Tarshish"
"Consequences. Resurrection of of Jonah"
Chapter 3 "The Word of the LORD"
Chapter 4 "Consequences. Correction of Jonah"
"The Gourd, the East Wind"